Grave Intent by Deborah LeBlanc. 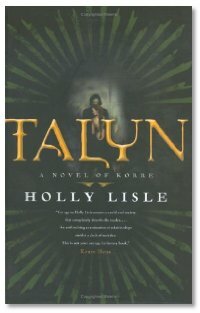 We then talk to Holly Lisle about Talyn. Holly's book is about two civilizations battling for dominance Technology vs. Religion. It makes for an interesting ride. This week we cover a few of the books in the studio. Tee Morris returns one more time to toss to the dragon. Great show guys! As usual - glad to hear you both sounding back to normal. If you are taking requests for writer interviews how about Stephen R. Donaldson of Thomas Convenant and the Gap series fame? Hey guys - great show as usual. Glad to hear you both sounding back to normal again! Under the list of future writers to interview, how Stephen R. Donaldson of the Thomas Covenant and Gap Series fame?